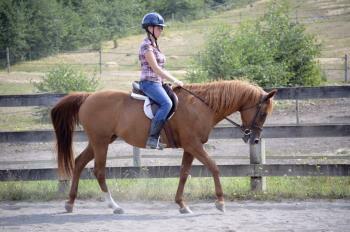 Do you love horses or would you like to learn how to care for and ride horses? If so this may be the perfect camp for you! With a graduated curriculum designed by Equestrian Management Workshops and taught by our trained, certified staff, there is always something more to learn, regardless of your skill level. Get to know Sunset Lake's own herd of horses and enjoy a number of special activities at the barn just for Horsemanship Campers! Your afternoons and evenings will be spent with your cabin doing normal camp activities.